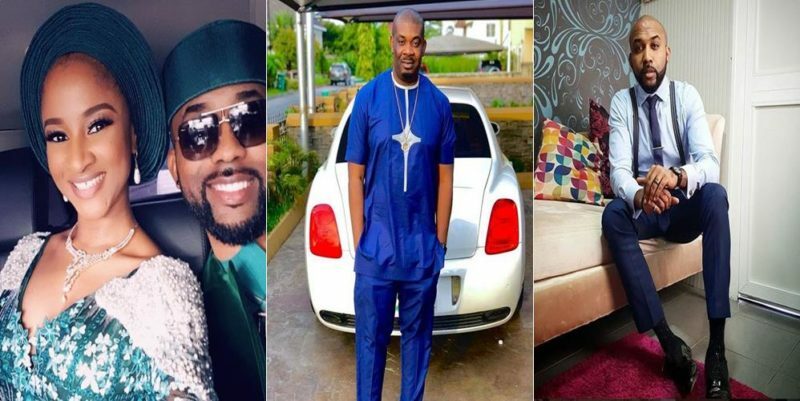 Nigerian music producer, Don Jazzy may have revealed that his marriage is nearer. 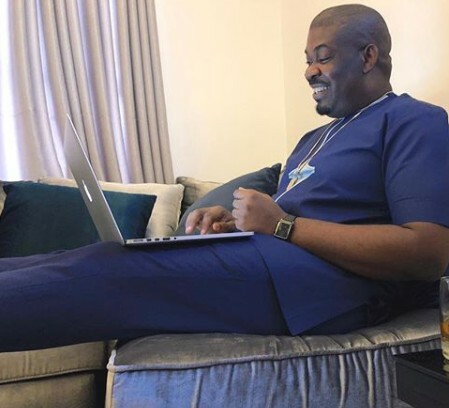 Don Jazzy has been joking about his search for a wife for quite sometimes now and he has also been insinuating he is still single and searching. 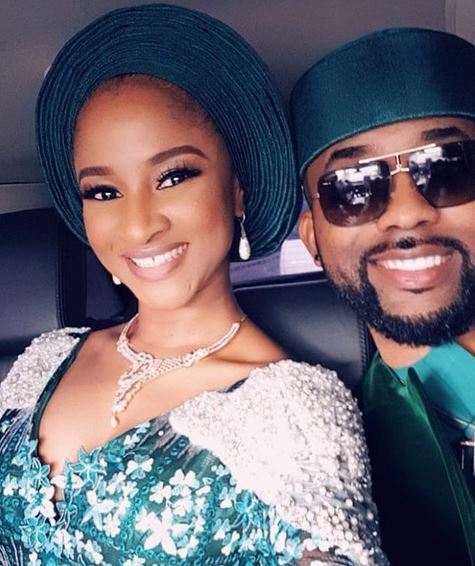 Moreso, Don Jazzy might have someone already as indicated in a reply to Banky W this morning. 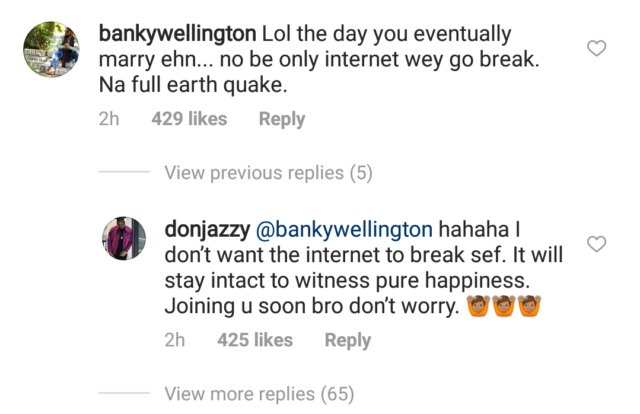 When Banky W reacted saying the day he gets married, he won’t only break the internet but cause an earthquake, Don Jazzy replied, saying he doesn’t want the internet to break but just witness pure happiness. The whole things has sent his fans into excitement has they believed he is secretely engaged.